More than half of developers and builders in the UK are planning to increase housing starts and completions over the next 12 months, according to a new survey report. Some 56% said they were planning to recruit more skilled workers in the next three years but many want to see more resources in local authority planning departments, the House Building Report 2016 from real estate consultants Knight Frank shows. Indeed, some 30% said making the planning process for public sector land more streamlined would help boost development numbers and 57% said they had not seen an increase in access to public sector land. On top of this 73% said the cost and availability of labour will have a negative impact on future housing supply at a time when it is at the centre of the national and local political debate. 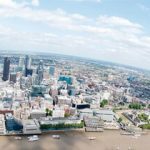 The expanding UK population, a structural historical undersupply of new housing and a slowdown in movement up and down the housing chain is now injecting a sense of urgency into the need to deliver more new build property, the report points out. 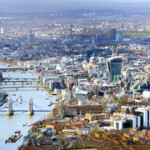 Over the last five years, the UK Government has made significant changes to the planning system, introduced schemes to boost development and put pressure on local authorities and public bodies to sell surplus land. While there has been an increase in housing delivery, but the supply of new build homes is still lagging demand on an annual basis, disregarding the historical shortfall. The country’s largest housebuilders, along with the Home Builders Federation (HBF), have recently pledged to help deliver one million homes by 2020, recognising that there needs to be ‘significant further action from the housebuilding industry’. The report assesses the next steps required to address the need for housing over the coming years. For example, the need to address the increasingly onerous levels of pre-commencement conditions applied in some planning permissions and the length of time taken to sign them off. The report points out that official house building data released each quarter from Department for Communities and Local Government (DCLG) shows that some 152,440 new homes were completed across the UK in 2014/2015 and Knight Frank estimates that this will rise to around 172,000 in 2015/2016. New quarterly data on English new build completions show a 12% rise in 2015/2016 to just under 140,000. However, separate retrospective data published by the DCLG shows that 155,080 new homes were completed in 2014/2015. ‘This suggests that the quarterly data is underestimating total house building across England,’ said Grainne Gilmore, head of UK residential research at Knight Frank. ‘Whatever data is considered, there has been a significant step up in the delivery of new homes over the last few years and large house builders are now constructing 60% more homes than in 2010,’ she added. She explained that on an annual basis, Knight Frank estimates a 12% rise in new build completions in the last year. However, on both DCLG measures, this would still indicate that in England, house building is some way under the Government’s goal of 200,000 new homes a year. ‘Reaching the Government’s target would be a milestone. However, it is still fewer new homes than government projections suggest will be needed. 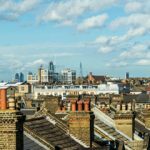 The household growth projections, produced by the DCLG, indicate a potential 220,000 additional households being created every year in England on average over the next decade,’ said Gilmore. 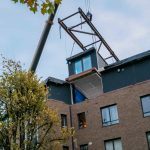 ‘Achieving this level of house building would mean keeping up with current demand, but would not address the structural undersupply that has been running for several decades. 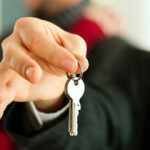 Also, there is the continuing challenge of delivering the spectrum of housing to meet all household demand,’ she added. The report also points out that in the wider political landscape, uncertainty remains about the outcome of the European Union referendum. The Chancellor, George Osborne, has said that a vote to leave the EU could result in a fall in house prices. 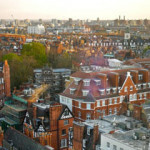 However, it explained that overall, developers expect the number of new home starts and completions to rise in the coming years, chiming with the recent pledge by the UK’s largest house builders to keep working towards 200,000 homes a year, and to build double the number of houses in 2019 than they did in 2010. The majority of house builders and developers questioned in the Knight Frank survey are set to increase their activity over the next year, with 56% saying that completions volumes will rise. Some 24% said their completions would rise by 10% and a further 11% said they expected a rise of up to 25%. Looking further into the future of supply, some 22% of respondents said that they plan to increase start volumes by up to 10%, while 17% said their business was poised for an increase of between 25% and 50%. The report also points out that accessing public sector land remains a challenge for housebuilders, despite a large scale effort from policymakers to release such unused land. Earlier this year, the Government announced another tranche of public land sales, some 600 acres. However, the report says that there still seems to be a blockage in the system, hampering the swift movement from the identification of a potential site for sale to development. This can often happen in and around the disposal, especially when the owner may want to retain an interest in the site. 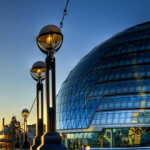 Only a quarter of respondents of the survey said that they had seen a rise in the availability of land owned by public bodies such as local government, the NHS or the Ministry of Defence, for sale over the last 12 months. More than a half said they had not seen a difference. The planning system also poses challenges, house builders say, with four in five respondents saying it will have a negative impact on supply. While the changes brought about by the introduction of the National Planning Policy Framework (NPPF) in 2012 have largely been absorbed, there are still some key issues around the time taken to achieve planning decisions, and the conditions applied to those permissions with suggestions for a time limit to be applied to signing these off. The need to bolster local planning departments is still seen as the biggest priority for policymakers, echoing the findings of last year’s survey, and underlining that there is still room for progress in this area. Access to labour is also an ongoing problem in the construction sector. Many skilled construction workers moved away from the sector as activity largely ground to a halt after the financial crisis, the report explains. Skilled workers from overseas have always made up a significant part of the construction sector, and this remains the case. There are concerns that a vote to leave the EU in June could ratchet up the pressure on skilled workers if the free movement of workforces between the UK to the EU is impaired. The report suggests that luring former construction workers back to the sector and training younger entrants to the market is a key challenge, especially as the average age of workers in the sector is relatively high, exacerbating labour shortages as older workers start to retire. As a result, the Home Builders Federation (HBF) and the Construction Industry Training Board (CITB) earlier this year announced a scheme to boost the number of workers in the industry. 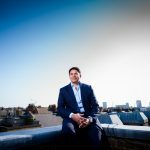 They pledged £2.7 million to help train an additional 45,000 workers by 2019 in a bid to increase capacity in the sector and thereby allowing a continued rise in the supply of new homes. ‘Certainly the demand for skilled workers is set to remain strong, with more than half of respondents saying they were set to increase hiring over the next three years,’ added Gilmore.